On or about Nov. 12, 1651, near San Miguel Nepantla, Tepetlixpa, Mexico, an illegitimate daughter was born to a wild child of middle-level Mexican aristocracy. The child, Juana de Asbaje y Ramírez de Santillana, had more against her than her out-of-wedlock birth. She was a female in a time and culture when women had no more rights and less attention than a good brood mare. 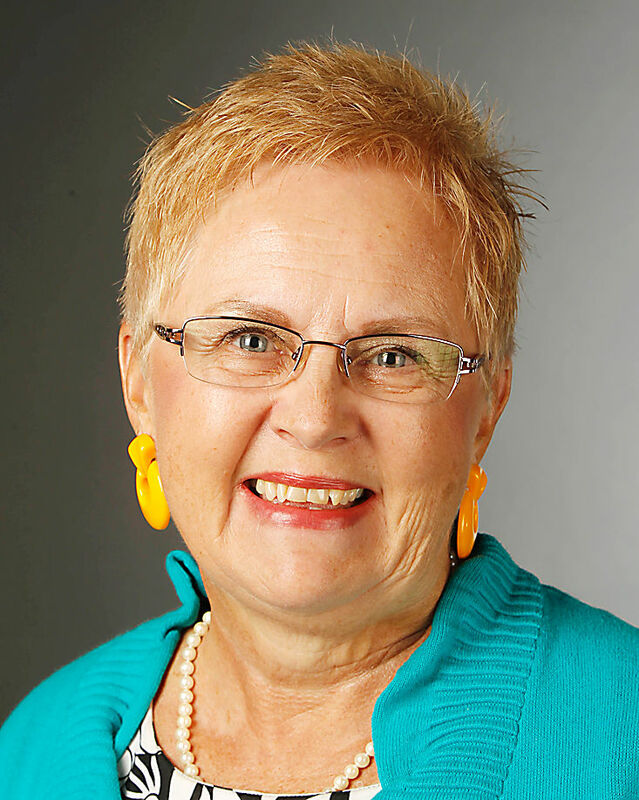 Her ancestry included Jewish grandparents in the middle of the Spanish Inquisition. Add to that the fact that she was a prodigy when intellectual superiority in a woman was considered always suspect, sometimes heretical and occasionally demonic. Balance that with three strengths: intelligence, wealth and beauty. While wealth and beauty may sound like superficial qualities, they were not insignificant to her rise to prominence. Without a family with scholarly and financial resources, there would have been no books or access to any thinking beyond mere survival. Clearly a genius, Juana was self-taught and could read fluently by the age of five. Even her beauty would have been an asset to her eventual appointment, at age 15, as lady-in-waiting to the vice regal court in Mexico City. Royalty likes being beautiful. So, to the benefit of mankind, Juana was exposed to the court of Spain in Mexico with its libraries, laboratories and intellectual conversation. She codified her thinking in poetry, plays and essays. She became the darling of the nobility. Inevitably, men of learning questioned whether this slip of a girl could really produce the thoughtful works with which she was credited. They decided they would test her. Certain that they would unmask a fraud, 40 members of the University of Mexico were sent to question her on topics such as mathematics, philosophy, literature and history. Sitting on a hard chair in front of this inquisition, Juana both humbled and astounded them with her erudition and knowledge. During this same time Juana chose not to marry. In 1667 she took vows as a Carmelite nun, becoming Sor Juana Inés de la Cruz. In her own words she preferred “to have no fixed occupation which might curtail my freedom to study.” Her life was now her own and God’s. Sor Juana took apartments at the Convent of San Geronimo. Due to the patronage of the Viceroy of New Spain, she was furnished several rooms and was attended by both servants and slaves. She acquired shelves of books and scientific instruments. Her works were published in Europe and the very intellectual in New Spain sought her company. In her most famous poem, “Hombres Necios,” (“Foolish Men”) she points out that men behave illogically by criticizing women. In “Primero Sueño” (“First Dream”) she defends the soul’s quest for knowledge. That a nun would have international renown, published works of secular as well as religious import, and constantly question the foibles of men led to attacks from the Catholic hierarchy. This kind of thinking could not go unchallenged and the Bishop of Puebla attacked her in anonymous tracts (written under the pseudonym of a nun). Sor Juana defended the right of all women to attain knowledge. She famously said, “One can perfectly well philosophize while cooking supper.” She further stated that knowledge of the temporal world is what enhances one’s study of theology. 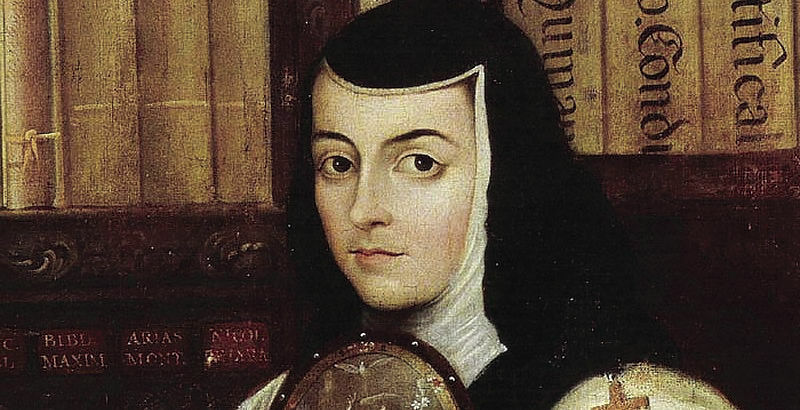 In a final act of defiance, when faced with Inquisitional examination, Sor Juana Inés de la Cruz sold her massive library, retired to a humble convent in Mexico City and died from and while working with victims of cholera on April 17, 1695. Today concludes National Hispanic Heritage Month. This 30-day period is designated to celebrate the history, culture and contributions of Americans whose ancestors came from Spain, Mexico, the Caribbean and Central and South America. Sor Juana Inés de la Cruz is my choice of study during this month.